In terms of appearance, the Tecno WX4 Pro is identical to the regular version. It sports a metallic design, which gives it a premium feel. It shows a slimmer build than the WX4 at 7.5 millimetres. The colour variants are gold, grey and blue. On the front is a 5-inch display with an HD resolution of 720 x 1280 pixels. This screen has a curvy touch with 2.5D glass on top. The same 8 megapixel (front and back) camera setup on the WX4 is also provided for the Tecno WX4 Pro. Features include LED flash, autofocus and HDR mode. The cameras on offer should serve up both regular and selfie shots that impress. You can store these on 16 GB of onboard storage, expandable up to 128 GB using a microSD card. Beneath the surface, the Tecno WX4 Pro features an octa-core MediaTek MT6737 chip running at speeds up to 1.3 GHz. This comes with a Mali 720 GPU and 2 GB of RAM. It means you can expect improved performance over what the WX4 can muster on this one. 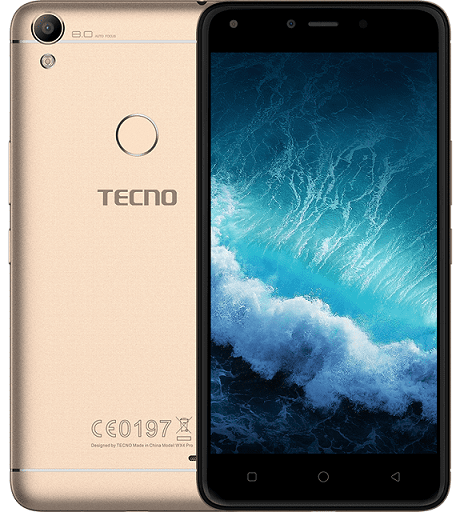 Tecno WX4 Pro comes with HIOS (version 2.2) residing on top of Android 7.0 Nougat software. The capacity of the battery on offer here is unchanged at 2,800 mAh. The rear mounted fingerprint sensor is also retained, as would be expected. Another area where the Tecno WX4 Pro appears to be improved is connectivity. It supports 4G networks, so impressive browsing and download speeds may be expected. Wireless connectivity options include Bluetooth 4.2 and Wi-Fi 802.11 b/g/n with hotspot functionality. The phone also features version 2.0 microUSB. Tecno WX4 Pro is not yet available in Nigeria, Ghana, and Kenya. When available, you can buy the affordable smartphone at leading online stores in Nigeria and Kenya. Tecno WX4 Pro Price in Nigeria ranges from 35,000 Naira to 45,000 Naira depending on your location in the country. Price in Kenya starts at around KSh 9,899.